We offer 3 different Wellness Plans: Puppy & Kitten, Adult Felines, and Adult Canines. The Puppy & Kitten Wellness Plan includes all the necessary examinations, vaccines and diagnostic testing that your puppy and kitten will need during the first year of their life. Your puppy and kitten inherits natural immunity from their mother when born until they are about 6 weeks. However, after 6 weeks of age, they depend on you to continue that protection. Our Wellness Plan is designed to provide routine care your pet will need. If your pet has not been spayed or neutered, there is a plan that includes pre-surgical blood work, hospitalization for the day, surgical procedure, and a re-check examination. For maximum protection, we strongly recommend enrolling your pet between the ages of 8 weeks to 5 months. 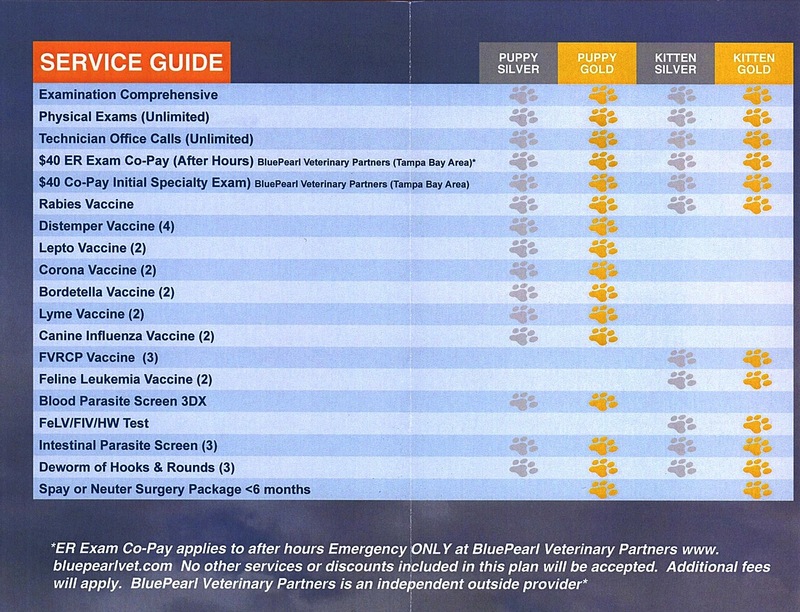 The Adult Feline Wellness Plan also offers the necessary examinations, vaccines and diagnostic testing. Cats age at a much faster rate than people do; for every year we age they will age 6-8 years. A Wellness Plan can help manage their evolving bodies and monitor their vital organs. The Adult Feline Wellness Plan offers 3 different options to choose to fight against illnesses and diseases. 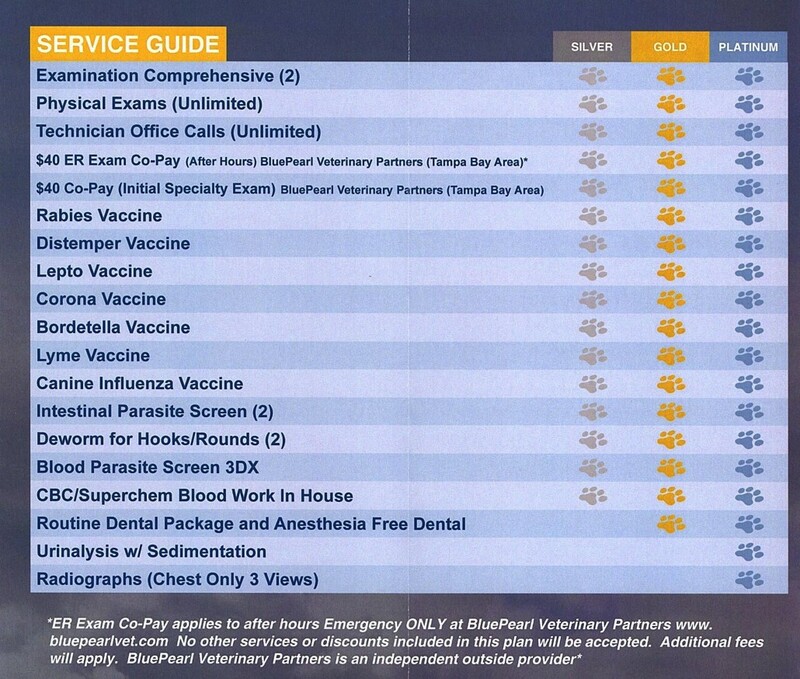 An upgraded plan can provide additional services such as dental cleanings, radiographs, and more extensive blood work. Our Wellness Plans are recommended for pets older than 7 months of age. The Adult Canine Wellness Plan helps manage your dog’s evolving health care. Canine also age faster than people do, 6-8 years for every year we age. Our Wellness Plan will help detect problems early before they become life threatening. The Adult Canine Plan offers 3 different options. 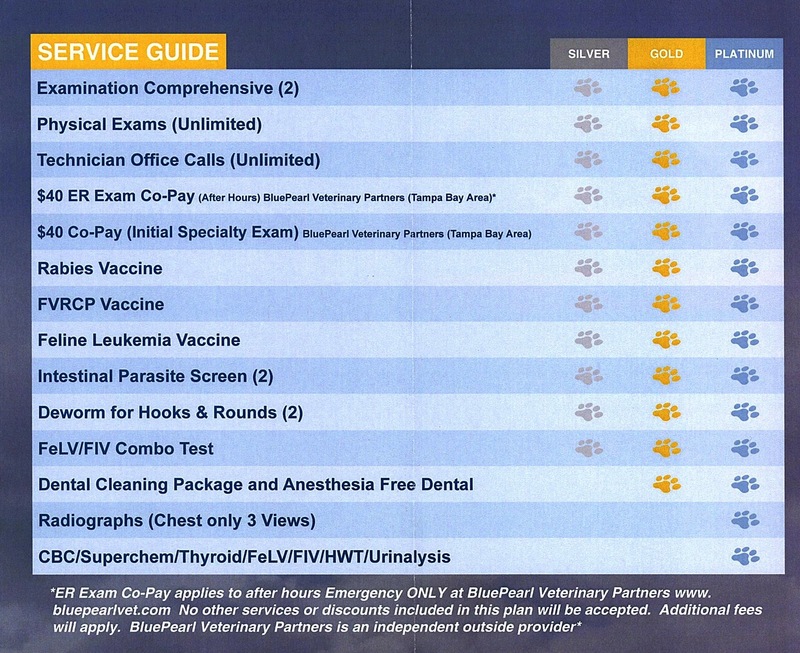 Each includes examinations, vaccines, and laboratory testing. An upgraded plan can include dental cleanings, radiographs, and extensive blood work. 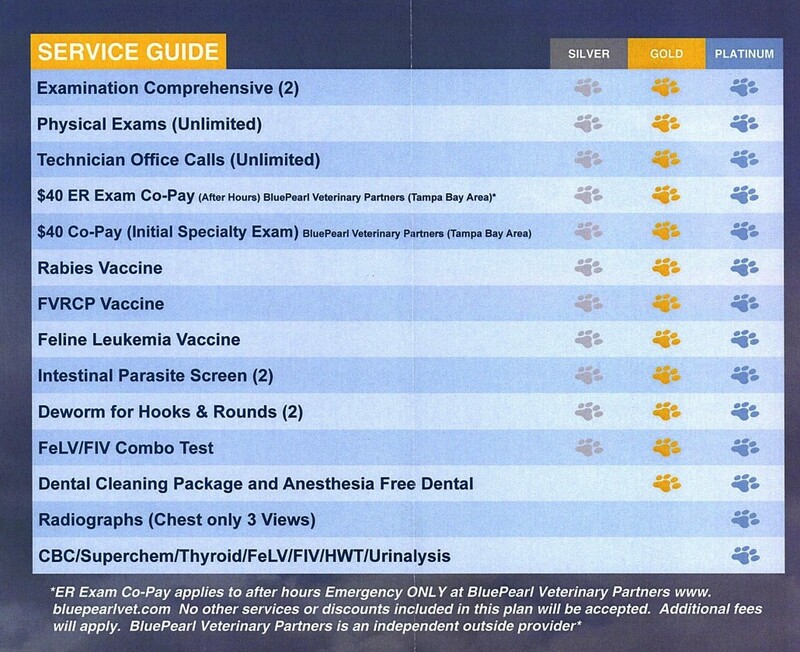 Canine Wellness Plans are recommended for pets 7 months and older. Our goal at Affordable Pet Hospital is to keep your pets healthy and happy during the prime years of their life. Our Wellness Plans can help with the many options available. 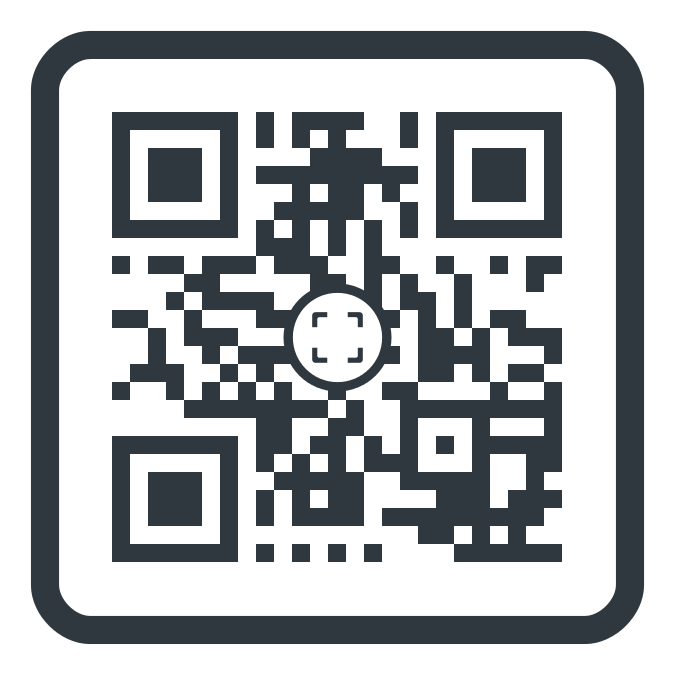 Call us today at 813-991-9898 for more information!